PAGE NINE No. 177 "The Uninvited Ombudsman Report"
since the turn of the 21st century. And it shows. The titles should be links, that tech isn't working, sorry. Search the story number with a hyphen (e.g., 3- ) that works. Identify and poke people ready to kill -- then turn them loose? "People too dangerous to keep their own guns are too dangerous to be roaming around." ...with knives, vehicles, chainsaws, gasoline... other guns... how is this safe? worse than pretend gun-free zones where the mass murders take place. The children's march insists on it. We asked them -- they don't know what it is, or why they want it done. 6- WIKIPEDIA CENSORS "GUN RIGHTS"
The term "gun politics" has replaced "gun rights"
Only U.S. Citizens should vote in U.S. elections. Some democrat operatives are having a hard time with this concept. A polling place that doesn’t ensure the voters are American citizens voting only once should not be in operation. “Ranked Choice Voting” -- Bad bad bad. It's a new-fangled scheme for electing who you don’t want. Look it up. Instead of voting for your choice, you vote for many, rank them, and someone wins. It could be worse -- I’m just not sure how. Reject it if it’s offered near you. Every first-page listing on Google leans positive about it, this should tell you something. Ranked Choice Voting -- fundamentally transforms the American voting system after 227 years. Help take away this powerful linguistic trick from the left. 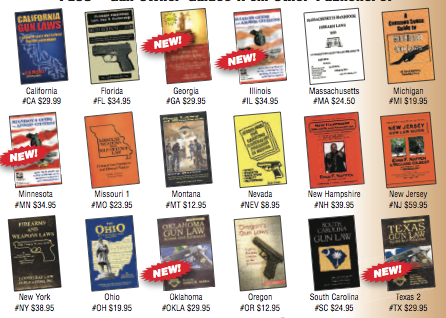 The gun bans using the so-called "assault weapon" moniker are banning everything, read them! They ban anything with a grip. Keep pointing that out. “Oh, that law! The one that bans anything with a grip. You’ve been deceived. They’re assaulting your senses.” Let them argue uphill that it's more complicated than that. It's not much more complicated. They're targeting guns with a grip. Not AR-15s. Send them to Page Nine, bill language is linked below. Millions of defensive gun uses every year. and the study was never released. In fact, it was three separate studies, each one suppressed. 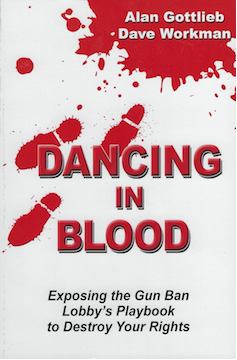 The CDC conducted massive studies of DGUs (Defensive Gun Uses) in 1996, 1997 and 1998, the largest ever conducted. 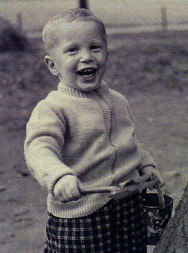 These confirmed the Dr. Gary Kleck studies, which until now stood alone as the most authoritative and largest. Done in 1995, Kleck’s studies found numbers similar to and pre-dated the now uncovered CDC results. The huge numbers were considered controversial to gun-control advocates, but were scientifically valid and widely accepted. The taxpayer-funded CDC results, had they been made public, would have eliminated any controversy. Privately held firearms are involved in crime prevention more than two million time annually, a fact not reflected in modern “news” coverage. The highly controversial CDC has repeatedly been caught manipulating results and advocating for detrimental political results concerning Second Amendment rights and issues, which is why Congress has cut off any funding to them for firearms issues. The doctors and staff have demonstrated a strong left-leaning bias in public statements and policy. Those points are always omitted when democrats or the media complain about that lack of funding. Private entities remain free of course to spend as much money as they want, and they do, on research of any quality. Lt. Col. Grossman, a scholar, soldier, speaker, one of the world’s foremost experts on human aggression, issues this call to action to parents, teachers, citizens and you. He trains soldiers to kill, to overcome their inhibitions, and sees the same impassionate techniques aimed at our kids, with predictable results. Kids never used to commit mass murder. We’re encouraging psychotic behavior, teaching the mechanics, getting sick results. Read the science, digest the research, get tools to fight back. All the evidence and sound argument you need to prove what we have all suspected. 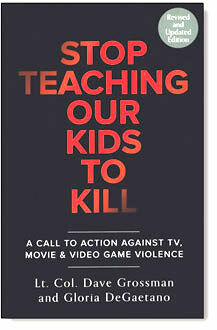 Child mass murderers are being developed and encouraged, created, not born. The culprits are known, along with the methods. The horrible results must be stopped. It's not about the guns. Opinions on Mark Zuckerberg’s recent marathon inquisition before Congress are all over the map. Search it online if you haven’t already, or care. Members of Congress showed themselves to be highly ignorant, illiterate and uninformed about the Internet, Facebook, data collection on individuals -- even how online tools work. Most of their questions didn’t rise to the level of grade-school children -- and the members didn’t know it. Chairman Grassley struggled so hard to read his own statement he is an embarrassment to Congress itself, completely hard to listen to his broken cadence and stumbling. Zuckerberg didn’t get frazzled, or smirk, or get really hard questions, and his answers, after a few hours and certainly by the second day, were simple repetition of prepared statements, delivered from memory, showing his incredible intellectual prowess, typical of the other few oligarchs of internet machinery. His left-wing predilection was self-evident, and problems this presents for the nation are stunning. His support for dark-money funded ignorant children in the March for our Lives media-promoted movement was revealing. Congress has no way to contain him, or the web’s power that challenges their own, though some suggestions did arise: An “honest ads act,” fake-account removal, state-actor identification, better advertiser ID, and third-party fact checkers from the Poynter Institute, each with their own merits and disastrous side effects and downsides were proposed. Stay tuned. Facebook censorship will cover three areas. Yes, these are broad, easily abused categories. Good definitions of these don’t exist. Everyone agreed on that. But it didn’t deter Congress or Facebook. with those excuses as excuses. It is. automated “artificial intelligence” programs will do much of the work for us. Soon. People can’t define language to be banned, so machines will. We can count on these to do a good job. people would never have enough time to do the work. A method for appeals was not addressed. Yes, that all scares me too. If this was Revolutionary times (some people say these are), Thomas Jefferson and the rest of the Founders would not be able to speak in the largest public square in the nation (and world). Hate speech is an abomination, according to The Uninvited Ombudsman. It exists solely in the eye of the beholder. Anything you like, that someone else hates, is hate speech, according to leading experts. Leftists hate everything the moderates and the right say, so goodbye free speech on those grounds alone. Free speech, to the hard left, is no longer valid, according to experts familiar with the situation. Violence, not to be tolerated, describes much of what government does, experts say. Common wisdom notes that one man’s terrorist is another man’s freedom fighter. It has been reported that just calling them men is hate speech to leftists. Microaggression is a new leftist term for hate speech in small doses, or that you can't see, but they can, sources report. And this is what Zuckerberg and his left-wing allies, with the blessing of Congress, have decided is OK to control. The Founding Fathers could not be immediately reached for comment. So far, memos like this one are free from censorship. But search for it on the web, and it will get tougher and tougher to find, experts say. With Wikipedia censoring the term “gun rights” (see separate article, item 6) that process is already well under way. We did learn from the hearings that the algorithms that do the searching are only partially skewed to prevent locating anything that isn’t of democrat, left-leaning origin. It will only get worse, according to leading experts. Facebook is being accused of advancing genocide of Rohingya Muslims in Myanmar, a 95% Buddhist country, where the Muslims are charged with, or suspected of, creating trouble. 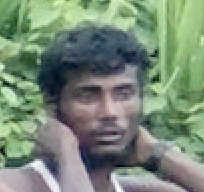 Therefor, they are being murdered by local police and military, and are fleeing persecution by the hundreds of thousands into neighboring Bangladesh. Hate speech against the Muslims on Facebook is credited with instigating much of the violence, but this is a controversial charge, unpopular with Zuckerberg. on September 1, 2017. Photo: Handout via Reuters"
The photo is then matched up with bodies in a mass grave, with arrows matching the kneeling men to the bodies in the grave. Easy to find with a search. The match up photo may or may not be true, Page Nine makes no claim there. Make of this what you will. The caption is not accurate. This is not to say the genocide and other atrocities are not true. It just points out the media does a lousy job of protecting its credibility. No one in the chain of command at Reuters could tell the caption is false. Media earns the derogatory titles it gets. Saturday April 28, 2018, Doors Open 5 p.m.
Join JPFO to keep up with activities. "Speaks with the moral authority of an oppressed minority." Identify and enrage people ready to kill. Then set them loose? Take their guns, but leave them everything else, and free. What crazy victim feels safer like that? USA Today Editorial, a few positive points: Red-flag laws let police confiscate guns without due process. Suspending the Constitution in a secret hearing is a point from which there is no return. To listen to the media's anti-rights drumbeat, no one does -- or could -- oppose the concept of stripping Americans of their constitutional rights in secret proceedings where they have no voice. But this is exactly what is at stake with Gun Confiscation Orders -- cynically disguised as "red flag laws." Red Flag Laws Gain Momentum In States -- USA Today, Washington -- States across the country are taking a closer look at “red flag” laws... 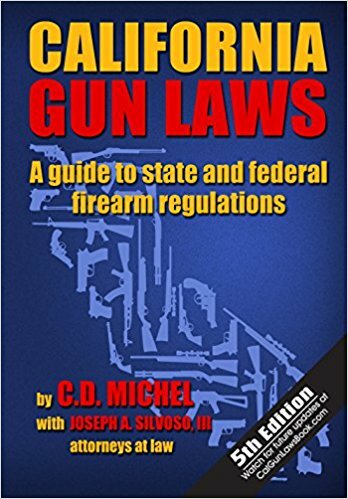 The laws allow family members or law enforcement to seek a court order to temporarily restrict people's access to firearms when they show "red flags" that they are a danger to themselves or others. Florida became the sixth state to pass a red-flag law, and other state lawmakers introduced a flurry of new bills, including first-time legislation in more than a handful of states, according to Everytown for Gun Safety, a gun control advocacy group. Bills are now pending in 22 states and the District of Columbia, while bipartisan efforts are coming together in Congress ... getting more attention now as students protest legislative inaction on gun violence... “those bills across the country are taking on renewed significance... What can we do to make sure this doesn’t happen here?” according to a gun-control spokesperson. Though supporters say the bills can prevent tragedies, critics say they have the potential to deprive gun owners of due process and their Second Amendment rights. “gun violence restraining order” or “extreme risk protection order” to temporarily restrict a person’s access to firearms. The judge can issue an emergency, temporary order -- without the gun owner being present -- to prevent immediate danger. But a full hearing must be scheduled quickly, offering the gun owner the ability to respond. and a typically dangerous, reckless, negligent idea. The only reason this law is being floated is to provide another avenue for the anti-rights advocates to restrict gun possession. And to quiet the tantrum being thrown by children nationally. It is not a rational approach to a problem that already has solutions available, and unused. People who want guns to “just go away,” irrationally believing this red-flagging power will somehow increase safety. 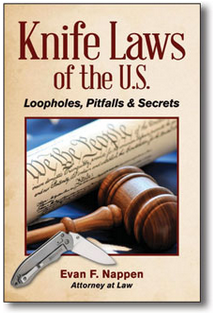 They see this type of law as a saving grace, when in fact it does harm. By identifying seriously dangerous individuals and setting these ticking time bombs free it is actually counterproductive. The notion that it is about public safety is as untrue as other left-wing anti-weapon myths the public has been forced to endure: armed pilots shooting down their own planes (delaying that program for years); invisible guns, which almost banned the Glock (the best choice for police forces nationwide); carry-permit shootout fears (predicted for every state but in the end pure fantasy); it’s a long list of deceptions with which the public has been burdened. Who can even remember back to Saturday night specials or cooling off periods that leave maniacs armed forever -- after five days. 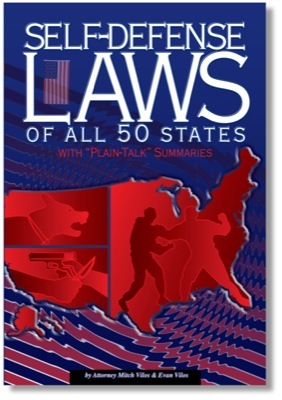 Red-flag laws seek to leave extremely dangerous people out loose after they are identified. This virtually defines insanity. The counter argument is that they're not really that dangerous. Then how to justify the taking of property and denial of rights without trial in secret. The only thing going for this law, in the minds of its creators, is it creates a new category of prohibited people. 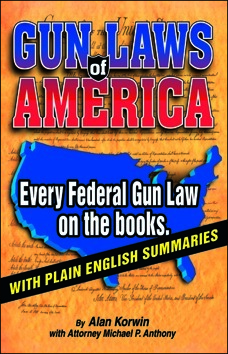 Gunlessness is a holy grail they pursue so tenaciously defies logic and reason -- now for people so dangerous they really should not be allowed matches and gasoline, anything available at Home Depot, motor vehicles -- in short, they cannot be allowed out into the public until they are “cured,” however these absurd red-flag laws define that. Who would ever risk restoring the rights of someone stigmatized by a red-flag designation is unclear. The coincidence between red flags and communism is just coincidence, according to leading experts. “Then, of course, there is the problem of so-called "gun-free zones," of which the schools where our children spend much of their day are the largest and most obvious. How many times does a lunatic with a gun have to show up in one of these so-called "gun-free zones" before we grasp the fact that they are not "gun free" at all? “The only people free of guns are the people getting killed trying to protect our children from psychopaths. Despite the protests of those ostensibly on the side of disarming everyone, you will note that every time one of these armed lunatics has arrived and started killing, the inevitable response of the gun deniers has been to call people with guns to come and handle the problem. 5th Edition NEW FOR 2018! California may be the most dangerous state in which to own a gun. than criminal encounters. 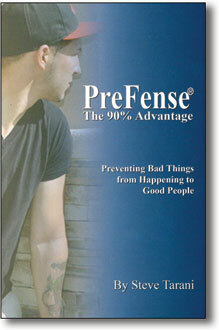 Get this book to help ensure your safety. Yes, this is a deplorable state of affairs. photos, images and techniques that make it easy. The audacity of USA Today reporters, and “news” media elsewhere for commonly using this bombastic, antagonistic and pejorative expression, when they don’t get what they want. “The news media acts like they’re entitled to go behind police lines.” -Ted Parod. The notion that the president of the free world is required or somehow obligated to respond at all, let alone immediately, to any request from me, or you, or an outfit with a reputation like USA Today reflects a level of hubris that calls for remedial behavior camp. That professionals in an organization behave this way would be grounds for serious reprimand, if not dismissal, considering the status of the people being insulted. They could have their licenses revoked, except they are unlicensed operators. The lunatic fringe nature in this particular case is hysterical. USA Today seeks an immediate response to the charge that Russian hacking revealed Hillary is indeed crooked, and with the democrat party illegally colluded to defeat -- Bernie Sanders! He apparently had a chance of getting the nomination for president away from Hillary. Democrats are suing, saying Hillary’s illegal activity, once it was revealed, hurt her, even though Trump had nothing to do with the dems shenanigans against one of their own. “A request was made to Trump officials for comment at 10 a.m. today,” might be a reasonable line. Expecting a reply beyond sarcasm unbecoming a president? Fuggedaboudit. A reply would from the White House would be as unreasonable as the lawsuit if you think about it. "Loved it." "Couldn't put it down." "This book scared me." Get it with the Traveler's Guide and save -- on the Traveler's Guide page. Order TWO and we pay your shipping! Save $5! <snip> You’re gasping for air. You’ve just stopped a would-be murderer cold with your sidearm—four rounds to the chest. Do you have the right to remain silent? Then why would you immediately dial 911 and talk into a police voice recorder? How do you make that call and stand on the advice that says, “Don’t say anything”? According to criminal-defense attorneys, half of all convictions for self-defense incidents rely on frantic traumatized 911 tapes. Dispatchers are trained to get statements from you, keep you on the line. As a bonus, the media will air your voice nationwide for weeks. That can’t be right. Stay safe. Get the book. Perhaps worse, CNN has become a non-stop conspiracy-theory provider, and opinion spinner, with a thin veil of newsiness and a motto, “the most trusted name in news.” Basically no one believes that anymore, despite the deep baritone that delivers the line. MSNBC essentially makes no pretense that they are anything but a campaign outlet for leftist ideology and democrats, and a hostile belligerent aimed at all non-democrats, even the Bernies who are further left (socialist) than they are. So -- L. Gordon Crovitz, the former publisher at The Wall Street Journal is teaming up with Steve Brill, the legendary journalist and editor who founded Brill’s Content, to launch NewsGuard. This online news-media watchdog will establish “nutrition labels” for so-called news outlets to establish the bona fides of major news “brands” and help the news-consuming public tell what’s what, with Red, Yellow and Green color coding. The team plans to use journalistically trained analysts, also known as human beings, instead of algorithms and other forms of computer automation, to rate news brands, depending on whether they produce real journalism, disclose their underlying interests, or intentionally purvey fake news. The team expects to cover 7,500 online outlets, about 98% of what passes for news, they say. Judging from what I’ve seen of Brill’s previous work, this could be splendid. A “white list” of outlets that advertisers can rely on is part of the plan. Commercial groups have been hit hard, promoting their goods on sites that turn out to be biased spreaders of tripe. Reviews of the reviewers will include pros and the public, part of a robust transparency effort. Problems might arise, since the glowing description is provided by Crovitz, in The Wall Street Journal, but one can hope. This is what the Founding Fathers read -- and wrote! immerse yourself in the insight and wisdom they hold. Many times over: No one needs an AR-15. All we want to do is ban the AR-15. It’s a weapon of war. It’s a killing machine. It has no place on our streets. The Founders never could have imagined any such thing in the hands of the public. It’s too dangerous for the public to own. The magazine is too large. The bullets can be fired too quickly. It’s scary looking. You don’t need it to hunt ducks. It doesn’t matter if police have them. Having listed those familiar complaints, I’ll answer them just as fast: Property ownership in this country isn’t based on need (and you don’t get to decide someone else’s need, that’s the communist model). All we want is to have the finest rifle made. It’s a weapon of peace. It’s a self-defense firearm. It’s perfect for the public. The Founders never could have imagined throwing your voice further than you can speak either. 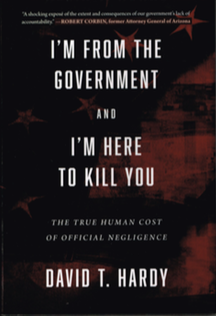 It’s too dangerous for the government to be sole owners. Insufficient ammo supply can be lethal. Slow-firing guns are dangerous. Scary is in the eye of the beholder, you might need treatment. Preferences for hunting are personal, immaterial here, not your concern and disconnected from the right to keep and bear arms. Police have them for the exact same reasons we want them. OK, so much for that. Banning the AR-15, America’s Rifle, as media-promoted child “survivors” are trying to force upon this great nation, is not only a bad idea, it’s illegal -- infringement -- and as a practical matter, it’s hard. You can’t ban guns by name, people will just change the name, that doesn’t work. You can describe guns, but people just modify the designs so they don’t fit the description. That’s been tried, it was a failure. There’s too many manufacturers, that cat’s out of the bag, along with the engineering plans, so you can’t close down the plants. If you do somehow outlaw manufacture what do you do about the millions of guns people own? Confiscation is the answer, among the most heinous government crimes there are, illegal a dozen different ways, and incendiary to the public. The rule of law has to be abandoned for that one. When government doesn't or can't enforce the law, the militia gets called up. Buying the guns back, an idea sometimes mentioned, runs up against the treasury hasn’t got the funds, and no votes in favor. Buying from unwilling sellers is confiscation again, disguised with ribbon and bow. All of the drastic ideas like this tempt armed rebellion, literally, from the very people whose guns you want to take, so you must tread lightly there. 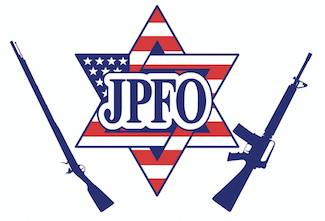 Will police and soldiers shoot at Americans defending their firearms? Do you really want to push things that far? That’s not much of a plan. Note, all the bans so far haven’t disarmed inner cities, where murderers murder 6,000 victims a year, with virtually no murder trials. Guns get smuggled into this country like drugs, women and “undocumented migrant workers and repeat offenders,” so that side of an AR-15 ban is not exactly airtight. So what did they (that’s the democrat party, the one with no demonstrated respect for the right to keep and bear arms) do to ban the AR-15, when they drafted their bill? The bill the marching children, referred to as ignorant useful idiots by some leading experts, what did that bill propose? They banned every rifle, pistol and shotgun that takes a magazine of any size, and has a grip. Most but not all pistols will escape the law under the “two-grip” rule. In the past though, BATFE, the agency responsible for enforcing these things, has been known to fabricate their own parts to “prove” a firearm was subject to enforcement. (ii) A second pistol grip. (46) The term ‘pistol grip’ means a grip, a thumb-hole stock, or any other characteristic that can function as a grip. *Editor’s note: Any capacity magazine is included. It’s safe to say every mass media report on the move to ban the AR-15, or assault weapons, has been fake, phony or wrong, based on the bill. 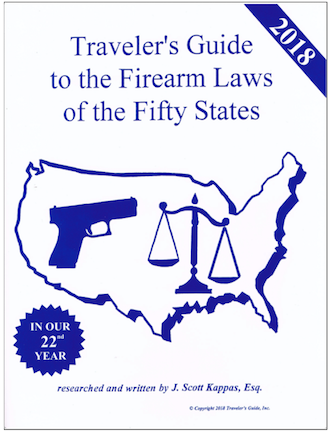 case after case described, this a road map for gun-rights supporters. It will give you ideas you can apply. Thanks to the observant work of an internet-presence guru, we now know you can’t find “Gun Rights” on Wikipedia. It’s as if such a thing doesn’t exist. Internal references to "gun rights" are redirected, some very recently, indicating this is an ongoing effort. Admittedly, there is a bizarre argument that guns don’t have rights, only people have rights, but that is specious here. As a term of art, “gun rights” accounts for limitations in the English language, everyone gets that. 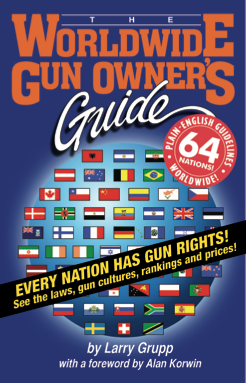 "Gun rights" is a synonym for the right to keep and bear arms, and everything that encompasses, along with a dozen other ways of expressing the same thing. 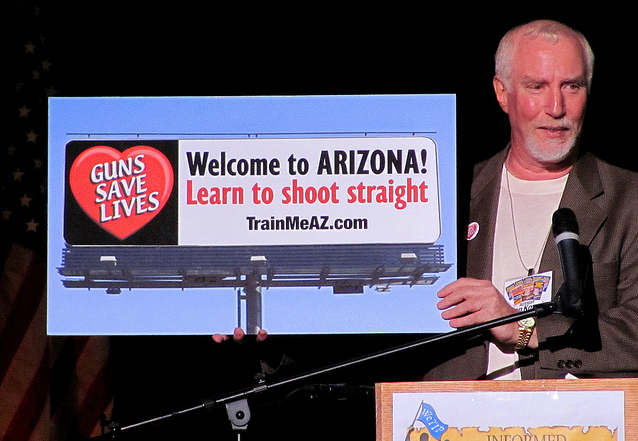 For Wikipedia, gun rights is “gun politics.” These are not the same of course. Look up politics, look up rights, that case rests on its own. Even worse than the blatant censorship of "gun rights" is the fact that Wikipedia is doing it. What else has fallen under this censorship axe? 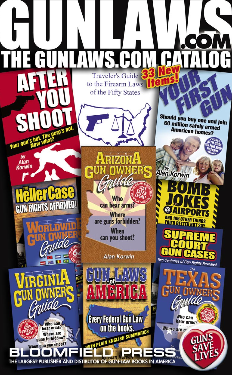 The web guru observes: “Just read the ‘gun politics’ page and look how it presents a unique perspective on guns, gun rights, and so-called "gun control," all in the name of gun politics. By redirecting a reference to “gun rights” to a slanted “gun politics” opinion piece, the so-called "gun-control" side is working within Wikipedia to promote the gun-confiscation agenda. One of its latest strategies is this redirect. It is an extremely clever Orwellian methodology. The Uninvited Ombudsman is now looking into developing an entry on "Gun Rights" for publication in Wikipedia, and will be working with the nation's leading experts on this important task. SAVE! Click the image for other packages too. at one great price! Keep some, give gifts! 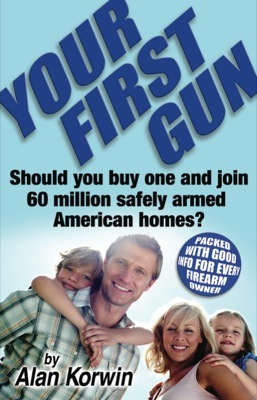 Your First Gun: Should You Buy One and Join 60 Million Safely Armed American Homes? A smokin’ deal! Plus! 100 Guns Save Lives heart stickers in the package for you. Cheap, works wonders, changes hearts and minds. $10 bucks each, 4 for $20. Do something. 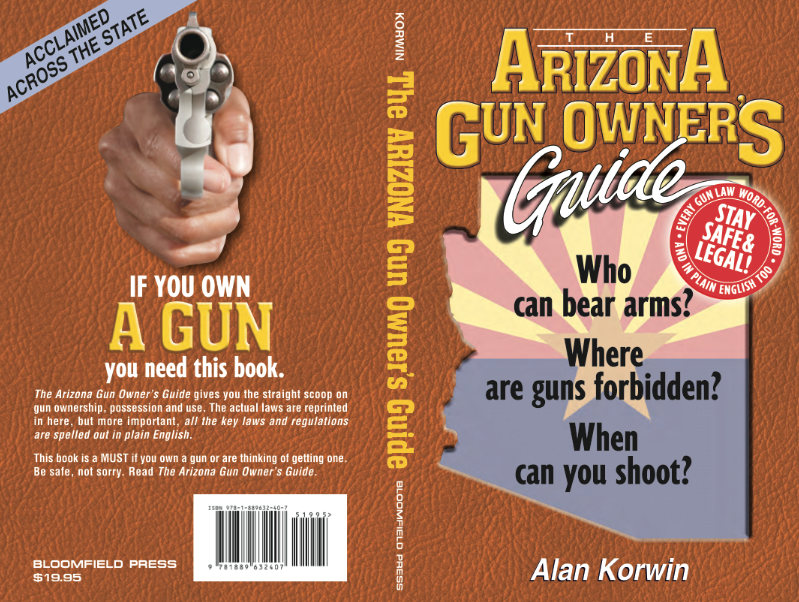 My guarantee: Every long-time gun owner learns a lot here too. One industry grew, one shrank, the stock market blah blah... The results of an economic study by some industry trade group somewhere shows that things are good, things are bad, things are. Media typically reports on changes and events in business, because business is good, we all need work. Virtually unreported in the lamestream, despite its undivided firearm attention for weeks on a single act of unspeakable horror by a psychotic maniac, the firearms industry is in good health and growing. In other news, ethnic murders in inner cities remained stable at about 6,000 per year, with no trials reported, if any, on national news. Police issued no statements. The total economic impact of the firearms and ammunition industry in the United States increased from $19.1 billion in 2008 to $51.4 billion in 2017, a 169 percent increase, while the total number of full-time equivalent jobs rose from approximately 166,000 to almost 310,000, an 87 percent increase in that period, according to the annual report released this week by NSSF. On a year-over-year basis, the industry’s economic impact rose from $51.3 billion in 2016 to $51.4 in 2017, ticking higher even while the industry came off peak production years. Get our good stuff cheap. Clearance items. Some one-of-a-kind, first come gets it. 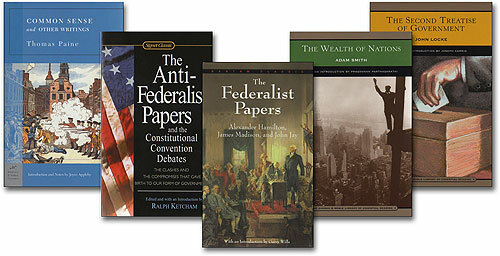 Bloomfield Press is always adding products -- including some classics! Did you know how hunting accidents REALLY happen? See more, click the image. ILLINOIS, MINNESOTA, WISCONSIN! Get yours! Out of print, we just got in one carton. 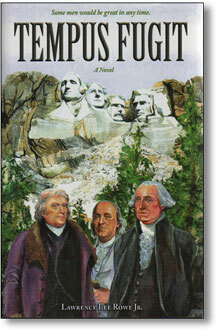 Summary: Washington, Jefferson and Franklin find themselves inexplicably transported to our times, and explore the country they launched centuries earlier. A thrilling, historical, spellbinding examination of our Founders’ original values and hopes, contrasted beautifully with where we are today. Deeply insightful, a true masterpiece. Author uses their writing for key parts of the dialog, captures their personalities, read this before he finishes the sequel, now in the works. Very limited supply. 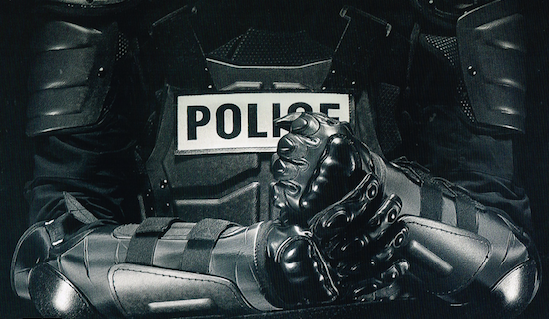 Click this image for our "Police Guides for the Public" page. in your own street survival, and in better understanding them. These guys get to have all the machine guns they want. By a former cop -- The best gunfight is the one you avoid. With a stellar resume in defense, law enforcement and intelligence fields, speaker and educator Tarani opens your thinking about awareness and the kind of prep that keeps you safe and miles away from needing to draw your gun. See incidents coming like the pros do and avoid them entirely instead of reacting—which is halfway to defeat. 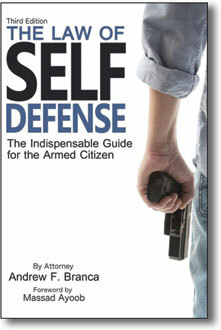 First-class self-defense training, in a book. Between negligence, fatal disasters, deliberate malfeasance, lack of accountability, secret operations, standard procedures that have no place in a system like the one we think we have, tanks, grenades, this is a wake up call -- or a way to prevent sleep. And "they" get away with it. The formula book leftists uses to implement all their plans. You've heard about it, this is it. Get smart and read it. 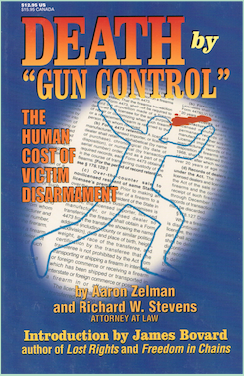 Chilling text, how governments disarm then slaughter, undeniable facts. You understand it well Tom. Can't speak to specific details, but this is standard. book comes out, kid likely gets lousy deal, feels proud. Lotsa bucks at least for publisher. Reality of all this never comes out, everyone inside knows. Media makes it look like the dream, all puffery. Public believes in the dream of innocent fame and fortune. Every myth known to gun control included from his 17-yeard-old mind. Stunning levels of publicity eflouresce, as if he earned it. Alan, Along the lines of you trying to get the media to stop biased language, like referring to killers as "gunmen." I saw more than one station talking about the Tempe police department motorcycles now equipped with "AR-15 semi-automatic rifles," in the station's words. Funny, an AR-15 is in private hands is always an "assault rifle." They never see their own disconnect, do they?! Keep up the good work. -- Jeff B.
Alan: US Dept. of Ed. and U.S. Secret Service research showed that 71% of school killers and attackers had first been bullied by their classmates. My thought is that those provocateur schoolyard bullies should be arrested and tried criminally for accessory before the fact. If the murderer’s defense attorneys raise the issue of provocation, it’s a thought. Ted S.
I’m afraid you are right about Science News. I believe they even had an explicit anti-gun headline in one of their promotional emails lately. I unsubscribed at that point. Cheers, Peter S.
Mr. Alan, I enjoy your opinion writing (received from GunsAmerica). I like the plain and straight forward way you write with references cited directly with your statements. I live in upstate South Carolina and have been writing my Congressman (Trey Gowdy) and Senators (Tim Scott & Lindsey Graham) but have not received anything other than canned responses. I've quoted you several times (with reference and links) in my emails to them hoping they would educate themselves. It is very discouraging. Your blog entries, however, have served as enlightenment and hope for me. I appreciate your sharing of your clear thinking. Thank you! Don J. [Thanks for the kind words Don. Try meeting with them at their offices. Talk to their staff, make a friend there, that really helps. Also, go after your local paper, you'll eventually get ink, and reach an audience. You write well. It takes time, but works. 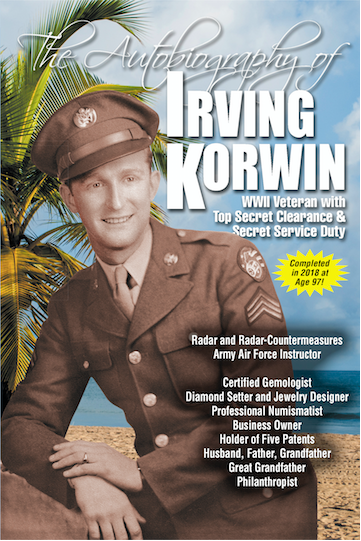 Mr. Korwin, I've read several brief articles of yours through links on GunsAmerica. Your writing is a breath of fresh air: calm and reasoned. Not strident, not preaching to the choir, and not taking cheap shots. Just laying it all out there, "don't take my word for it, look at the facts, and decide yourself." Unfortunately, Sigmund Freud's nephew wrote in the late 19th century that facts and reasons don't win arguments, manipulating emotions does. I practice medicine and am appalled and ashamed of my supposedly intelligent colleagues, trained to think critically, who pile onto the "gun control" bandwagon. Keep the good stuff coming! and thank you. M.H. The story behind the London murder rate is who's murdering who. It's there if you look, and is a crucial 2A side of this story. Decent, knife-possessing citizens aren't killing each other. are generating every bit of this high-murder-rate problem too. Some of us have to be strong enough to stand against the PC police and say it. That side is out of line. I especially liked your remarks of the gun ban movement and infringement. I wish the national propagandists (media) would somehow let that argument slip out. While the world expected the Web to create a vast expansion of human knowledge such as the planet had never seen, some folks had other plans. Folks you don't know, can't see, can't find or reach. The global “information superhighway” (remember that term?) has morphed before our eyes to a cloud-covered parking lot, owned by a handful of insanely wealthy left-leaning (socialist) autocrats and their hirelings. The info elite have become so powerful they now threaten governments of the world, which are running scared. They saw they can’t really control this guy -- they don’t even comprehend him or what he does -- and if they off him, which they can, the new boss wields the same power and it solves nothing. I imagine Zuck had to be laughing inwardly, yet sitting there so perfectly, unflappably stoic, brilliant beyond anyone we normally get to hang around with routinely. “You guys are so over. And you don’t even know it,” his brain tells him of Congress, or at least it seemed that way to me. They’re trying to compare him to a Homer Simpson episode for a frame of reference. If you have no word for a thing, you can’t think about it. That's George Orwell's warning to us in his seminal book, 1984. Thought control. Go to Wikipedia and search for “Gun Rights.” It’s not there. “Gun rights” has been replaced by “gun politics” at Wikipedia, and mumbo jumbo under that heading does more to obscure than elucidate. A fundamental civil and human right, ensconced in the U.S. Bill of Rights, has been deleted by people who know better, at what is now Wikiganda. We already know Google skews search results to favor left-wing causes, outfits, people, even words. I research constantly, and it has become rare to use anything but a search engine -- just like you do -- if I'm not actually dealing with live people. By twisting results and becoming advocates instead of providers, the established electro-magnates are digging their own graves. I'll be going elsewhere -- they are empowering and encouraging competition. Free markets and freedom win out. It's human nature.